Salted Egg Bitter Gourd (RM10/USD3.30) – Deep-fried to perfection, coated with a delectable batter of salted egg and lightly spiced up with finely-chopped red chillies. 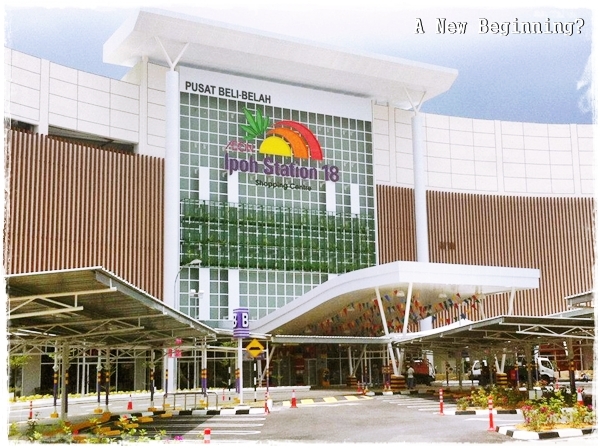 AEON Ipoh Station 18 – A spanking new mall in Ipoh come 29th March (Thurs) 2012. And the largest, easily. Read on to find out the intriguing saga behind BOTH ….. 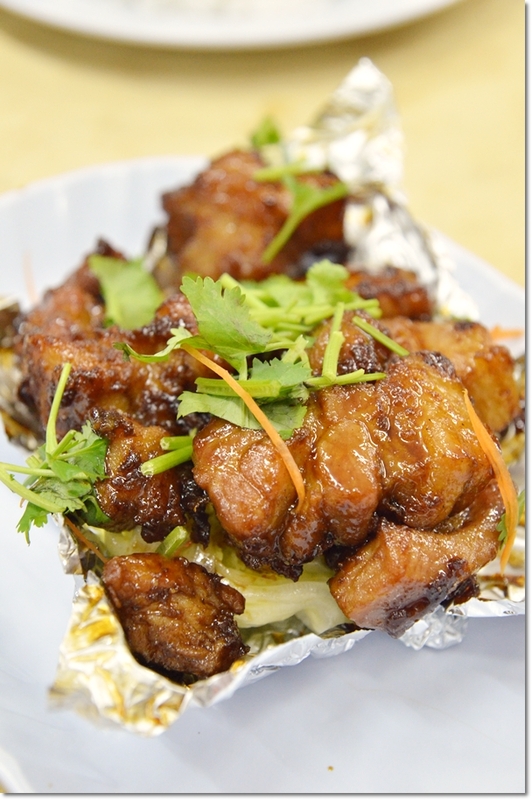 Baked Sweet and Sour Spare Ribs in Aluminium Foil (RM15/USD5) – Tender to the right texture, without bits and pieces stuck to the teeth, and marinated with a sauce that complemented the meat so well. I really have to give utmost accolades to dear Ipohans/Ipohites (whichever suits your fancy) converging in Facebook pages, forums, blogs etc for their informative updates on my hometown of Ipoh. Since leaving this incredibly beautiful town back in 2010, I have been struggling to keep myself up-to-date with latest news, eateries sprouting up from all corners as well as rejuvenating travel spotlights and sights in tandem with Visit Perak Year 2012. Four (or maybe Three?) Heavenly Kings (RM10/USD3.30) – Without the presence of my favourite ‘petai’ (stink beans) because they ran out of those, still a sumptious rendition filled with less-than-fiery bits of dried shrimps in a sambal belacan base. 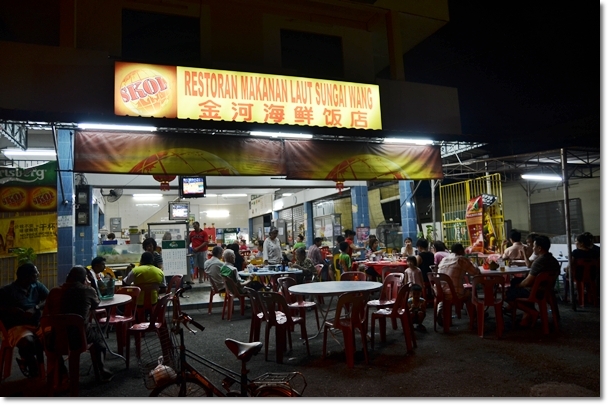 Now this seafood restaurant in Kampung Simee will take you forever to discover if you’re plain hanging out at tourist-y spots in town, or oblivious to the fact that Ipoh DOES house quite an impressive quantity of quality restaurants; or ‘dai chow’/’chu char’ restaurants. The name got stuck to the head almost instantaneously; being named after a very famous shopping mall in Kuala Lumpur; Sungai Wang Seafood Restaurant (or “Kam Hor” in Cantonese). 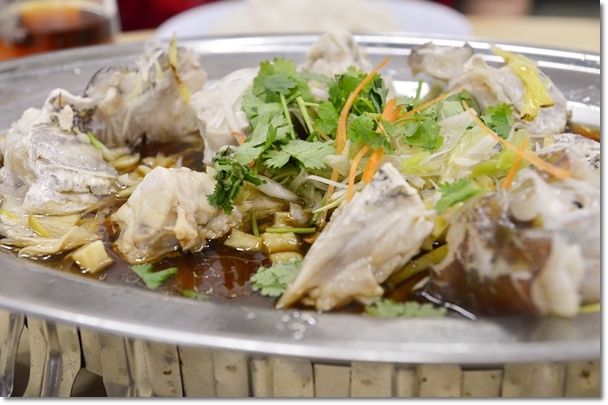 Steamed Fish Head in Soy Sauce (chopped to chunks in this pic to ease consumption) (RM32/USD11) – Fleshy fish head best steamed to retain that freshness and natural sweet taste of the flesh. This was a recommendation from a reader way back then (sorry, I lost track in the hundreds of posts on Ipoh food myself), and so happened I was back in Ipoh last two weeks, with a much-deserving push from Mum, we ventured over to this territory largely uncharted (except from the irresistibly good egg tart stall named Choy Kee in the Simee market) in terms of food finds. Arriving at close to 7pm on a Sunday evening, the place was crawling with customers! Thankfully still managed to secure a table inside the compound, but suffered from an extended 40 minutes or so wait for the food. They’re THAT popular, seemingly. All of the dishes were highlights, we all agreed. The sliced bitter gourd coated in a salted egg batter then deep-fried was one of the BEST that I could remember coming from a restaurant in Ipoh. Even if you hate bitter gourds, you MUST give this a try. There was absolutely no hint of bitterness in the dish. The spare ribs and steamed fish head were both above average fares, though if you do not like fish heads, you can still opt for their freshest catch of the day. Just ask the one taking your orders and you’re good to go. 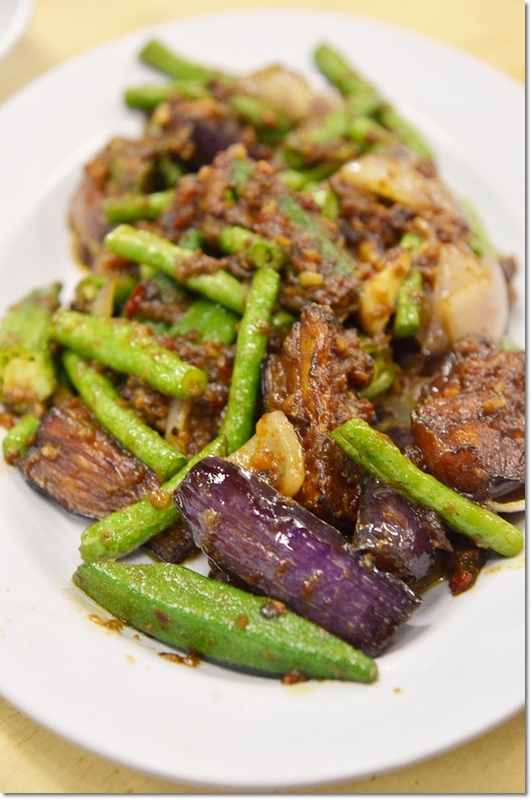 The crab meat beancurd and the myriad of vegetables (long beans, brinjals and okra) in a sambal belacan sauce were exceptional complements to the meatier mains too; though I’d prefer my sambal Four Heavenly Kings to be slightly spicier with a robust kick. 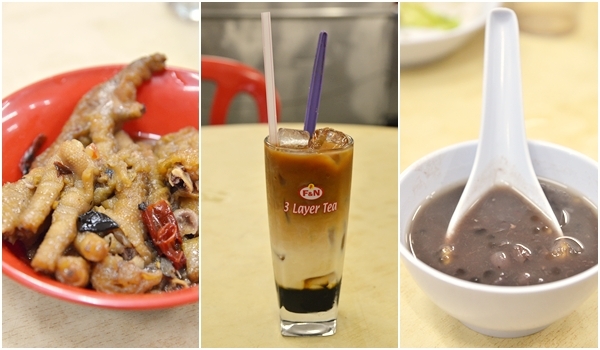 Oh, and you get starters of braised chicken feet with black beans and dried chillies, and desserts (was a red bean dessert with sago that evening) ON THE HOUSE. How about that? The meal came to RM92/USD31 for the 5 of us, a clear winner in our books for all the right reasons. Sans the wait. So, you’d better arrive early (say, 6-6.30pm) if you’re not one who’s patient enough and get agitated easily over the mouth-watering sights of neighbouring patrons tucking into their food. You can sense the neighbourhood camaderie in the air, with a steady stream of customers chatting away with each other AND among the workers themselves like as if they’ve known each other for years. Directions : This restaurant is on the same side of the road as the Kg Simee wet market, and situated opposite of a Chinese school named SJK (C)Chung Tack. Now for a piece of juicier news, the new AEON Ipoh Station 18 mall is opening in Ipoh on 29th March 2012! AEON as you all might have been aware, is the rebranding of all Jusco shopping outlets in Malaysia; an extended global initiative from the exercise in Japan. So where is this Station 18 you wonder? This new mall (a relatively mammoth-sized even when compared to the other AEON’s in Malaysia) in Pasir Puteh, on the right side of the main road of Jalan Pasir Puteh leading to Lahat/Lumut. If you know where Tesco and Pasar Bina is, then you’re on the right page. If you’re wondering what the hype is all about, let me share with you this …. The last AEON/Jusco (and the only one, in fact) was opened in 1997. That’s 15 years in real time and a century in relative manner because you know how shopping malls come and go in rapid frenzy especially in the Klang Valley. Aside from that Jusco Kinta City, and Ipoh Parade, we Ipoh folks have been blessed with only Tesco and Giant to be contented with. Now …. fast forward to 2012, and a spanking new, humongous and ambitious AEON will start to pen its significance in history books of Ipoh with 160 outlets catering to the shopping-deprived citizens of Ipoh. Can you say YEAH if you’ve been plagued by incessant traffic at the old Jusco (like yours truly), and can’t grab a movie ticket because there is only one TGV (with 6 screens) and one GSC (2 screens!) in all of Ipoh! FOOD – Kim Gary, Sakae Sushi, Nando’s, Kenny Roger’s, Chatime, La Kaffa coffee, Wendy’s, Beard Papa, Baskin Robbins, Starbucks, Coffee Bean, Pancake House, etc. TGV Cinemas (rumoured to be in July 2012), Esprit, Calvin Klein Jeans, Cotton On, etc. All info taken from All About Ipoh and Ipoh page. I like Beard Papa! Can’t wait! 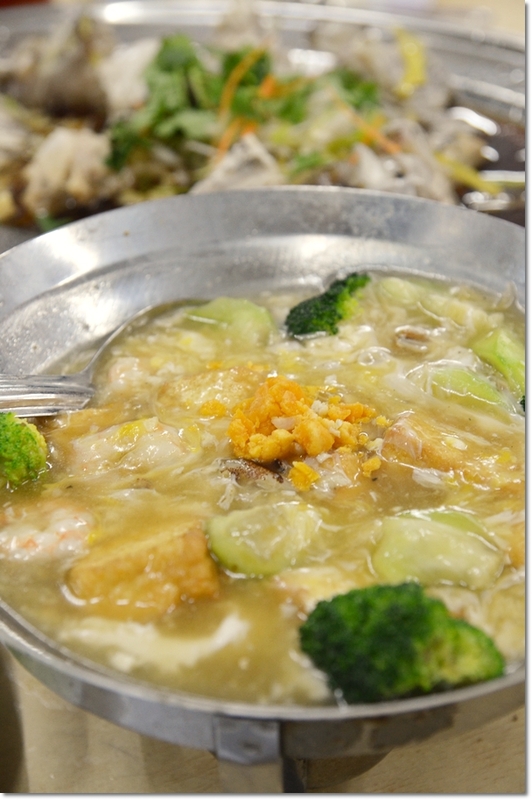 MM, is this place near Seong Kee “long yoke” ? Yeah! You know the Simee market? Same road only, you can’t miss this. 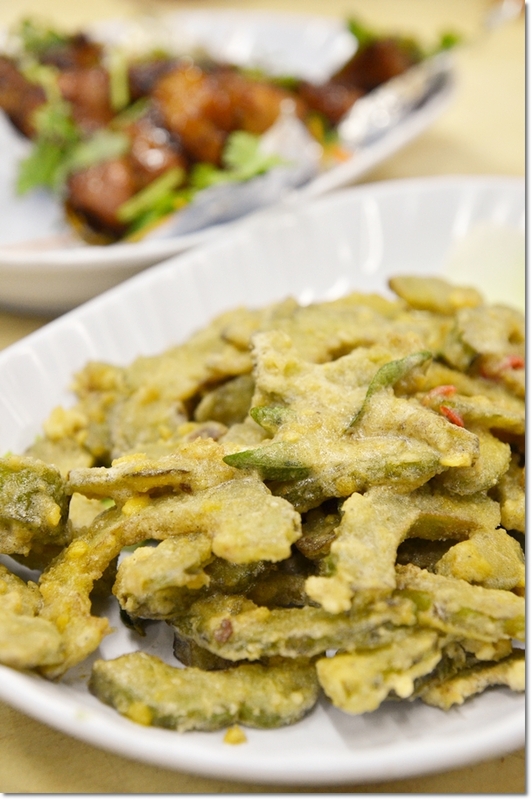 How can you go wrong with Salted Egg Bitter Gourd?!! Impossible! haha. Great shots! Thanks ciki. Yeah, but not all places can whip up an excellent one. Hi. Love your blog. I spent the first 14 years of my life in Ipoh. Great food and great people. I’m a former ACS guy btw. Just wondering what’s happening with the FMS bar. I know it was being renovated but it was due to be opened. My dad spent many an afternoon and evening there. Me too! I have been waiting with bated breath, I tell you. And I guarantee that FMS will be on top of my priority list once they reopen. Haha … tell me bout your Station 18 experience! Are all the outlets opened yet? Anyway, I am bit dissapointed as I wish to see GSC in AEON, and not TGV. TGV website is not so user friendly. GSC is better. Haha .. thanks. Sorry, been ages since I went to GSC Ipoh Parade for movies. I only remember two side by side. Yeah, I do agree about the TGV vs GSC part. But I guess AEON and TGV are aligned somewhat? Great post. Will try visit this new mall during my visit to Ipoh tomorrow. How much will the taxi charge(will they use meter ?) from Ipoh city centre, Jalan Horley to this mall ? Is the Pasir Putih Mun Choong Restaurant near to it ? Tried few nights ago totally the salted egg and bitter gourd and tau foo(smooth & soft melts in the mouth) was one of the best in ipoh so far, the Baked Sweet and Sour Spare Ribs in Aluminium Foil & pan sou kong (steam) was so so. Yes it did comes with hong tau sui on the house. Strange things happens during dinner I noticed a group of family sitting across of our sat down for 5-6 minutes got up and walk across the road to the other tai chow (corner) same row with DAP office 2 doors away. MM, have you done a review on it? As it also full house. Nope. But thanks for the hint. Maybe they waited for some time and no one came to take their orders?